I'm pretty sure that's a 400 series. I have a four row pull type with runner openers that has the same planter unit frame design. I found a couple reproduction operators manuals and a used parts book on Ebay not too long ago. All this info and insight has been great, and I do really appreciate it! Looking more closely at this thing is making me wonder more about what mashup of parts it contains. 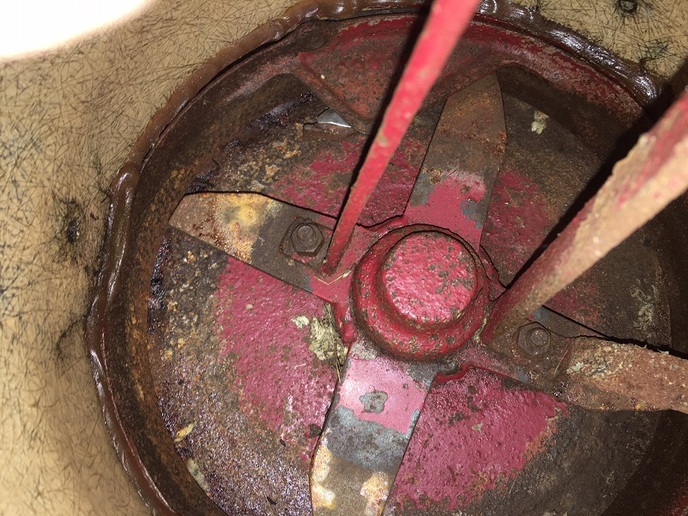 Here's a shot inside one of the fertilizer hoppers; notice the thick ring of sealant at the bottom. Would this possibly be from normal wear-n-tear, or is this more a sign they aren't the correct hoppers? If the latter, how would I find out which hoppers were the correct ones? It would seem to me that the hopper should fit inside the base, not outside it -- correct? So if I were to replace these hoppers, would simply measuring the base's diameter allow me to find correct replacements? Using drop chains to hold it at a constant height: doesn't that cause a problem if you have undulations in the plot? What plate did you modify for beans? I set the drop chains so planter set level. Otherwise the front of the planter would just drop down and disk openers and planter depth setting would be ineffective. The rear planter wheels follow contour. Works for me but I do plant on fairly level ground. I modified a nylon plate with a dado router bit in router table to size it to a green bean seed. I don't have the plate number now but it was a corn plate. You can buy solid plates and do the same thing but I am cheap. A Dremel tool or die or angle grinder would probably work too. 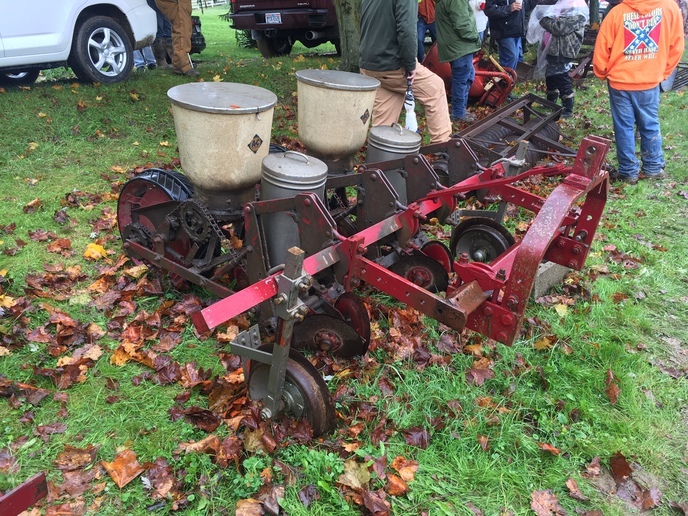 Possibly an AC 600 series planter? I have one that is similar and some parts were still available. It is set for 30" rows and I moved the rear wheels out to 60" on center so it was easy to plant. Lustran plates are common , dealer had a bunch of used ones for like 5 bucks each. I brought sweet corn seeds in and he matched them up. I also replaced the seed "kickers" (or whatever they are called) that send the seed down the chute. You can lift planter, measure circumference of wheel, and count seeds per revolution to get seed spacing. I used drop chains on 3 point to hold planter bar at consistent height and then adjusted planter depth accordingly. It does a nice job planting for sweet corn and such. I modified a plate for green beans and it worked excellent for that too. Here are a couple pics of the bottom of the seed hopper. Appears to be plastic plate plus an adapter/spacer(?). 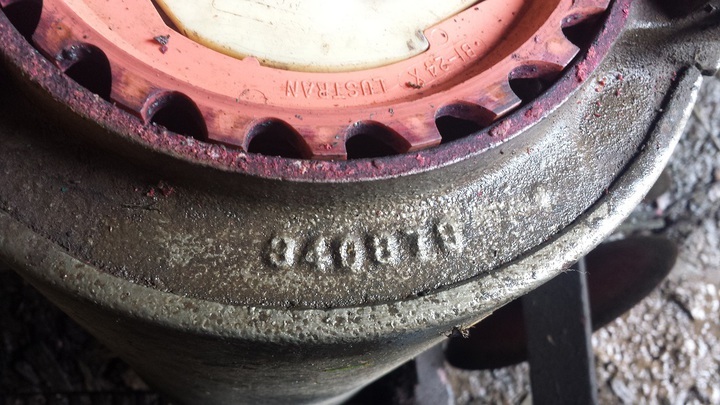 A quick search shows they are JD plates. Would it be a straight forward swap to use a different hopper that can hold two different type of seeds -- or would some modification be required? FWIW it is currently set at 30" row spacing (someone mentioned measuring). Thats a, AC unit with the JD adapters.I've never heard of a double hopper planter built by AC.Cole is the only company I've seen build one. Um, yeah... where abouts should I look for such a plate? I have looked it over pretty well and have seen nothing. I plan on getting the thing up off the ground and do a thorough cleaning; it has a layer of greasy grime over most of the frame. I've felt around, inside & out of the frame, looked for any type of raised numbers and/or separate plate thru the gunk... but zilch so far. Picture of the seed plate,take the front hopper off and turn it upside down if its an AC plate it'll come right off little piece of metal holds it in place.Cole planters in my area are pretty common with two different compartments and plates in each hopper to be able to plant two different seeds at once. I agree, it looks made up with A C units on a tool bar. But it looks like a very well done job....has the row cleaners and what looks like markers on the outboard side. Measure the row spacing, at 30 inches the seeds should be about 6 inches apart to get around 30000 seeds per acre. You may need a few more sprockets to get the seed spacing desired. Looks a lot like AC Planter units,a picture of the planter plate would go a long way towards IDing the planter. So you think it's fabricated? Huh.... From the looks of all the other equipment that was at the auction, I wouldn't have thought that. Then again, that doesn't mean the owner didn't buy it that way or have someone make it for him. Suggestions on how to learn to properly use this? I'm new to row planters; only used broadcast spreader to-date. I would bet the farm some one took some units from an pull type unit or snap coupler unit and fabricated the 3ph tool bar, still doesn't mean its not a good planter, I have a 1 row 3ph JD some one built that I use for the garden. 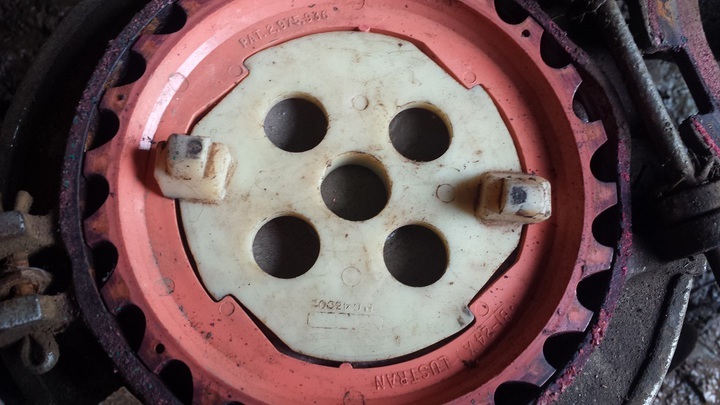 Would love to find a 2 row snap coupler planter that wasn't 500 miles away. That looks like some one took the planter units off of a larger pull type system and mounted them on a tool bar for 3pH. Not sure what those units came off of.